This article was originally posted at Beyond the Billable, the BBA's public service blog. Click here to read the original post. On Saturday, April 21st, 25 volunteers organized by the BBA’s New Lawyers Section joined in an effort to clean up the banks of the Charles River. This event ties in with the BBA’s Task Force on Environmental Sustainability, a group charged with expanding the BBA’s public service capacity to include volunteer opportunities that benefit the environment. To read more about the work of the Task Force, please visit The Sustainable Lawyer, the BBA’s blog dedicated to issues of environmental sustainability. The event, coordinated by the Charles River Watershed Association, marked the 13th Annual Earth Day Charles River Cleanup. It’s estimated that some 4,000 volunteers from Milford to Boston removed 15-20 tons of rubbish from alongside the River and the surrounding areas. 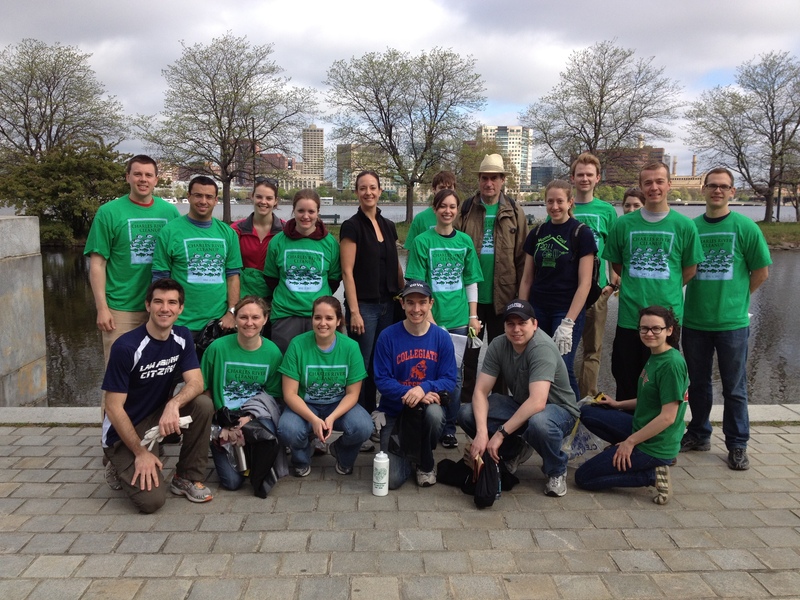 BBA Members Gather to Volunteer for the 13th AnnualCharles River Clean Up.